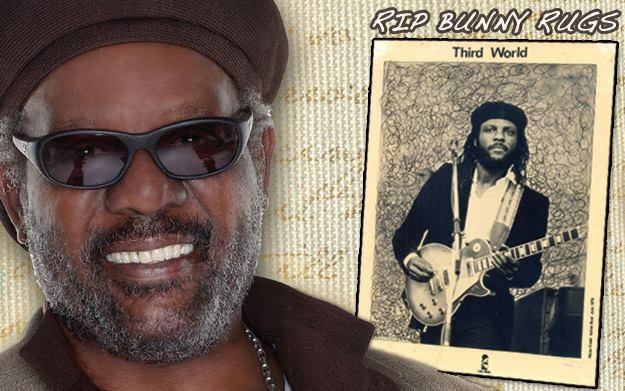 This show is a loving tribute in memory of the great Bunny Rugs, lead singer of Third World, who transitioned into the ancestral realm last Sunday, Feb. 2, 2014. During the first half of the show, we play some of the best Third World and Bunny Rugs tunes, as well as musical gems from Sugar Minott, The Mighty Diamonds, Don Carlos, Jacob Miller, Jah Frankie Jones, Delroy Williams, Althea & Donna, Sylvan White, Freddie McGregor, Josey Wales and Charlie Chaplin, Beres Hammond and Cutty Ranks, Big Youth, Tarrus Riley and Bitty McLean. Round 2 is straight fire and you may want to have the fire station on speed dial as we burn babywrong with music from Perfect, Teflon, Anthony Red Rose, RC, Anthony B, Ras Attitude, Kabaka Pyramid, Midnite and Lutan Fyah, KGenius, Jah Defender, Cornador, I Wayne and Assasin, Buju, Sanchez, Israel Vibration, Dennis Brown, The Maytones, Third World and more. Much love to the family, as always, and rest in peace and light to Papa Bunny Rugs. This entry was posted on February 11, 2014 at 10:23 pm and is filed under Downloads, Podcasts, Radio Shows with tags Africa Reggae Podcast, Africa Reggae Radio, Bunny Rugs Podcast, Bunny Rugs Radio, Bunny Rugs Tribute, gospel reggae podcast, gospel reggae radio, One Love Radio, Rasta Podcast, Rasta Radio, Rastafari Podcast, Rastafari Radio, Reggae Podcast, RIP Bunny Rugs, Roots Reggae Podcast, Tribute to Bunny Rugs. You can follow any responses to this entry through the RSS 2.0 feed. You can leave a response, or trackback from your own site. Truely a great livication to a great man.